My wife and I use our American Express charge card to pay for almost all of our monthly expenses, and then we pay the balance off every month…no exceptions! We pay all of our groceries, gas, restaurant visits, entertainment, and many other expenses. We have even used the card to pay for our electric, internet, cable, phone bills, and any other automatic bills. I would have used it to pay our rent too if our landlord had accepted credit cards for payment. 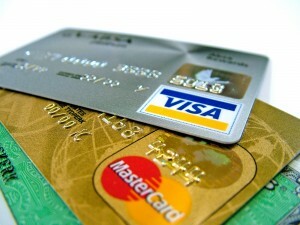 There are many benefits to using a credit card to pay for all of your ordinary monthly expenses. We do not write anymore checks. We do not spend as much cash. For me, cash burns a whole in my pocket when I have it. Using my American Express card (and only the AmEx) keeps my spending in check. I cannot even remember the last time I wrote a check, and I have not reconciled my checking account in a several years. I have very few transactions that take place in through my checking account. So, it is very easy to spot irregularities. I will admit that this approach may not be for everyone. You do have to have an idea of the amount of money you can charge to you credit card because, remember, you are paying off the entire balance at the end of the month. One last advantage of using this approach is that you earn rewards, miles, or points very fast. My wife and I actually use all our points to buy Christmas gifts for our friends and family. It has made budgeting for the holidays that much easier too and has been a wonderful strategy for us. Remember, you have to be responsible and cautious with this approach. You must pay off the balance each and every month…..no matter what, no exceptions. I’m definitely NOT advocating going into or adding to your credit card debt. Hank, you didn’t explain how you set it up to use your Amex card to pay for everything. Can you please explain. I just went to the Amex site ad it looks like there is a limited number of companies they work with.